The sun is shining, the birds are singing, we can smell the flowers in the air…finally. Although we’re a little late, April was a month with many special events for our Kindergarten. We celebrated the Persian New Year Norooz, Easter, our students with Student-Led Conferences and then our planet Earth, for Earth Month. We’ve been waiting to post this blog for you…you’ll see why at the end. 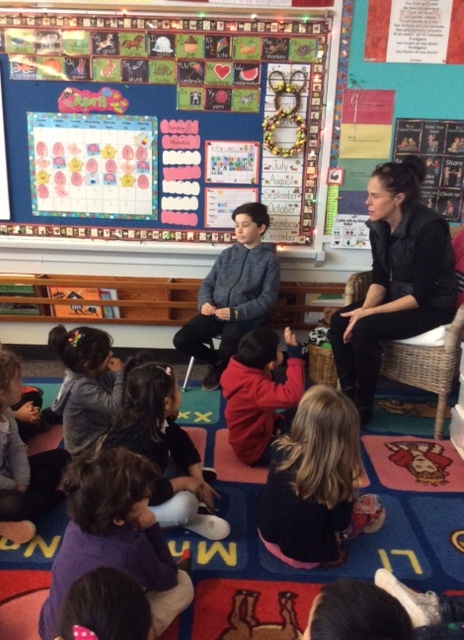 We invited 365GIVE founder Jacqueline Way (and a parent in Andrea’s classroom) to help us celebrate Earth Month by giving something special to the Earth, Kindergarten style. Jacqueline shared with us how she began a year’s worth of giving with her oldest son, Nic, when he turned three years old. Starting on his birthday, Jacqueline and Nic committed to 365 giving acts to the world. On the 365th day, Nic’s brother Tyler (and our Kindergarten student) entered their lives–the last give in a remarkable year. We started with a discussion about who helps our planet. The children knew the firefighters and policemen keep them safe, and that the SPCA helps to look after animals. But the children didn’t realise that they, too, can help the planet. They can give back to the Earth in just as powerful ways as our community helpers. So as part of our celebration of Earth Day and Earth Month, our Kindergarten would think about what they could do to give back to the Earth. How could they help the planet? Well, thanks to the high profile of recycling programs at home and school, our children knew right away that recycling is a significant act of giving. Jacqueline explained that when we don’t recycle, all the garbage goes to the landfill, sits there and makes the planet sick. 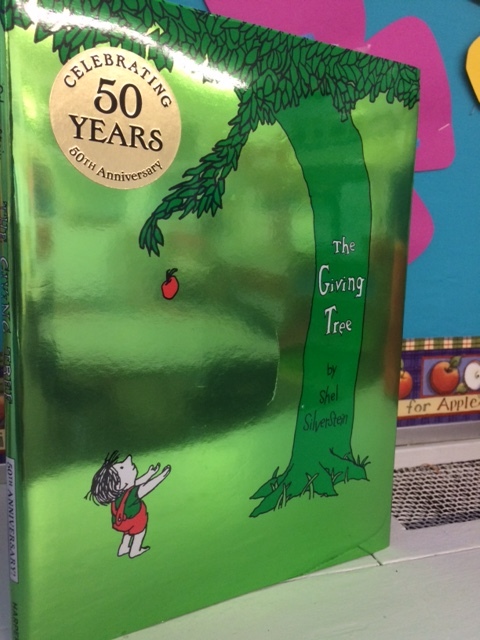 The children suggested using both sides of the paper is an important way to reduce paper consumption, and the cutting down of trees. We get oxygen from trees and food from the trees, and those same trees provide shelter for a variety of animals. When we recycle bottles, cans, metals and plastic, new bottles, clothing and toys are made from these products. The metals we recycle today are tomorrow’s scooters and bikes. When we recycle food scraps or organic waste and put them into the compost, it decomposes into soil, goes back into the Earth and makes our planet healthy. Keeping our school grounds litter free is a daily give we can easily do. Our children eat their snacks and lunch in class and so with our school waste management program, the Kindergarten manages quite well in not contributing to garbage on the playground. However, we are all aware that animals do come to eat the garbage, evident by the number of crows we see after recess and lunch. Just as serious is the garbage left at the beach; garbage which flows into the ocean can be eaten by the local fish, and then if we end up eating those same fish…their understanding was evident as our children were very wide-eyed, quiet and thoughtful. Another way to give back to the Earth is to plant a garden. If you grow a garden, you can just walk to your garden to get your fruits and vegetables. You can’t get any more local than that! Our children had quite a bit to say about gardens. Besides fruits and vegetables, we can also plant flowers. Jacqueline explained how important flowers are for bees. Bees drink the nectar so they can make honey. As the bees fly from flower to flower, they are also gathering pollen on their bodies and spreading the pollen around which fertilizes more flowers and trees. Bees fly from tree to tree and pollinate the flowers which will grow into fruit. Without bees, we do not get flowers, honey or fruit. Jaqueline also explained that the bees are in trouble, many are dying, and they need our help! Some of the children said they were afraid of bees but we were quick to explain that honey bees do not actually like to sting people. If they sting, they will die. If you stepped on a bee, it might sting you, but that’s because it’s scared. 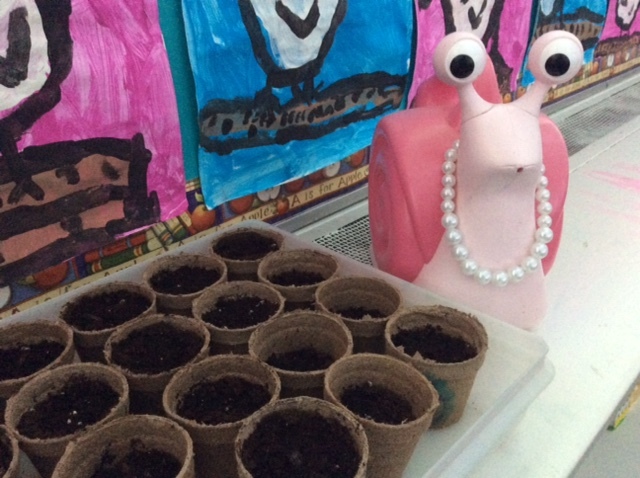 We need flowers to help the bees stay alive so for our Kindergarten give, our way to help our planet, we planted sunflowers! We knew you’d be anticipating what our plants looked like, just as much as the children did every single day. Watching our children check their wee plant pots every morning just warms our gardening hearts. 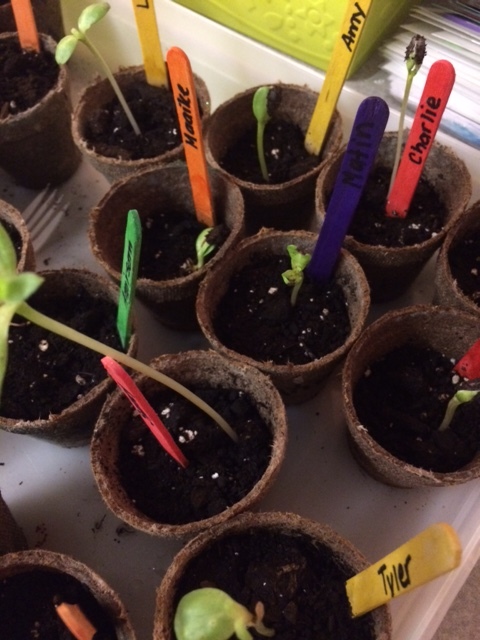 Gardening certainly fosters patience, acceptance and faith that your tiny seed will grow…does this sound a lot like teaching Kindergarten? Today was an important day for our children to understand the impact one person can have on the Earth. We’d like to thank Jacqueline, Nic and Tyler for all their help in celebrating our planet. You can read more about 365GIVE here.